Seeing in color has never been so vibrant with Smith Optics’ ChromaPop sunnies! Boasting specialized prescription, polarized lenses that enhance hues and boost visual clarity, these shades are sure to brighten the world around you! Traditional lenses cause the brain to decipher whether it’s seeing red, green or blue. But the specialized ChromaPop lenses allow the brain to skip that step, so it immediately recognizes true vivid pigments as they should be seen with increased depth and detail, reducing eye fatigue. 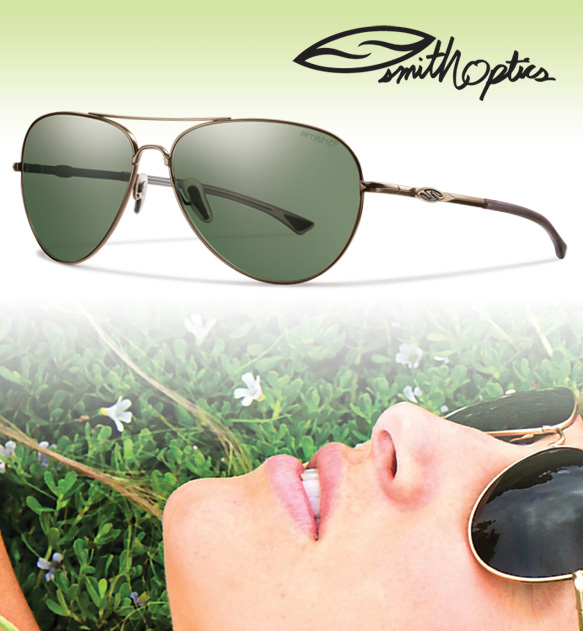 To boot, they’re super trendy, featuring a sleek aviator silhouette, metallic gold frames and deep green lenses! Get even more deets on these innovative shades and their lenses here!